Teaching Type 2 education, Diabetes Erectile Dysfunction clinic, managing type 2 patients in outpatient setting. For the past 4 years Peter has taken on the role as lead nurse for structured type 1 diabetes, young adult service and CSII therapy. During this time the CSII cohort of patients has doubled to over 240 patients using a variety of CSII devices. In 2017 he has extended his role to support GP Practices in the North West of Plymouth. I trained at Bath School of Nursing over 30years ago and here I am again back again in one of my favourite Cities by Pultney Bridge. I have worked in the local Community as a Practice Nurse, a Cardiac Specialist Nurse and in my current role as a Diabetes Specialist Nurse. My role is offering support and advice to GP Surgeries where I hold regular clinics with the Practice Nurse, plus visits to patients in their homes with the District Nurses and Long Term Condition Matrons plus other teams such as the Learning Disabiltiy team. My aim is to provide seamless care between Primary Care and Secondary Care at Derriford. Out of work I enjoy spending time with my family, friends and our dog Molly walking the South West Coastal Path and Dartmoor. When I retire I aim to write a book for walkers on my favourite walks and all the lovely coffee shops and pubs that can be found on the way. Registered Nurse in 1991 in Plymouth School of Nursing. I have worked continuously for the NHS ever since. Since 1991 I have obtained the Diploma in Health Care followed by a 1st class (BSc) Bachelor of science honours and I am now studying on the (MSc) Masters Degree pathway. Since 1991 I have worked on numerous acute medical / cardiac / Diabetes wards and Acute Care of the Elderly. I became a Renal / Diabetes Specialist Nurse (R/DSN) after specialising in the Diabetes field and qualified as an Advanced Renal practitioner. 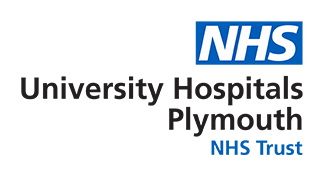 In 2005, I became the 7th Registered Nurse in Plymouth Hospitals Trust to achieve the Non Medical Prescribing (NMP) qualification whilst working as a Diabetes Specialist Nurse (DSN) in the current Diabetes Centre. After becoming Ward Manager of the Renal unit, I moved to the DSN role and became Manager of the Diabetes Research Unit in Plymouth. From there, I moved to the Community Trust as a Long Term Conditions Matron and moved into the Community Diabetes Specialist Nurse role. I am delighted to be a founding member of the Community DSN team. I now teach patients, carers other Health Care Professionals and host clinics with GP's and Practice Nurses in GP surgeries across South Hams, Plympton and Plymstock. In the last 2 years I have completed the Advanced Practitioner qualification. I am proud to be able to enjoy working in a clinical role where I can put this to fabulous use for the benefit of our patients and their families. In my spare time you might bump into me walking my dogs across South Hams or I might even be seen on Fistral beach, surfing (badly). My name is Corrina Newton. I completed my nurse training in 1999 and went to work in Cardiology. I was a Coronary care nurse for many years during which time I continued studying to complete my degree. I had been interested in diabetes for many years and choose to complete my degree by doing a diabetes module. I have been a member of the diabetes inpatient team for just over two years. I am a mother of two and we recently got a new family pet, border collie puppy which we have all wanted for a long time. She keeps us all busy and out of mischief. We are looking forward to taking her on holiday to our favourite place, the Isles of Scilly in Cornwall. I have been in post for over 5 years now and love my job !! I relish the challenges my job brings. I never know what I'm going to do each day, which makes my job really interesting. My special interest lies within health care of the elderly and Diabetes. I have just completed a Dementia module and am planning to complete an education tool to help people and carers with Dementia, manage their Diabetes at home. I'm married and have 2 daughters. I enjoy keeping fit and eating healthily. I have been a Diabetes Inpatient Specialist Nurse for 5 years, but have had Type 1 diabetes for 45 years. I enjoy teaching patients about their diabetes and love trying to find solutions to ‘problems’. I have an interest in patients with complex health and social needs, in particular drug and alcohol dependency, mental health, homelessness, and patients who are frequently admitted with diabetes related issues. I have two rescue dogs (poodle x terriers) from Portugal who keep me busy, and I enjoy time on my trike when the weather allows. I registered as a nurse in 1999 with experience on the Medical Assessment Unit and medical wards in Derriford Hospital. I have been an Inpatient Diabetes Nurse since 2012. I have a strong passion for delivering education to patients and other healthcare professionals. I believe that if you have knowledge you are able to make an educated decision. This is important in the care of diabetes to those living with it and caring for others. I enjoy running and have completed 3 half marathons with more planned. I enjoy spending time with my family and pug dog named Beau. Hi, my name is Alex. I’ve been nursing for 31 years, having trained in North Devon District Hospital, Barnstaple. On qualifying, I worked at the Nuffield Hospital, Plymouth and after a couple of years moved over the road to Derriford Hospital, to work on a general medicine / diabetes ward, where patients with diabetes emergencies were managed. It was there my interest in diabetes grew. I became the diabetes link nurse for the ward and in 2004, sought promotion to become an inpatient diabetes specialist nurse. I worked in this role for 10 years then looking for my next challenge, moved to working with diabetes patients with renal disease. This role has evolved and now encompasses collaborative working with renal Consultants, dietitians & specialist nurses, plus tri-annual visits to the local haemodialysis unit to see patients whilst they receive their treatment. Within the last year I have extended my skills further to incorporate managing diabetes patients who use insulin pumps. I have written and been co-author in a number of articles and clinical posters, plus have spoken at a national conference attended by Dr. Rowan Hillson, MBE, National Clinical Director for Diabetes (2008-13). My background in nursing includes, day case procedures /minor surgery and Intensive care. Currently I work with patients with Diabetes and Pituitary/endocrine diagnosis. My particular area of interest within diabetes is working to promote the health and well-being of Young Adults with diabetes transitioning from paediatrics. In my spare time I like to Cycle and run and enjoy many outdoor activities with my family. I also participate in fundraising activities for local and national charities. I was born in London, and grew up in the South East. I qualified as a RGN in 1992, at The Queens Medical Centre in Nottingham and spent the next 3 years working in the fields of haematology and in the emergency department. I then worked in The Royal Perth Hospital, Western Australia. In 1997, my Husband and I moved to Plymouth. I have worked in Derriford Hospital since then; again in the specialised areas of haematology and in the emergency department. I have worked in the Plymouth Diabetes Centre since 2013. I look after women who have pre-existing diabetes in the pre-conception clinic and in the post-natal clinic. I run a gestational diabetes clinic with an Obstetric consultant looking after women who have gestational diabetes, and also run a general DSN clinic on a Wednesday morning. I did my nurse training in Southampton and then moved back to Plymouth where I worked in cardiology and coronary care. After 3 years, I left Plymouth to nurse in Australia for a year and worked in hospitals in Sydney and Melbourne. On my return to Plymouth, I went back to Coronary care for 18 months before moving to work in the Emergency Department in 2008. I worked as a staff nurse in the Emergency Department for 4 years before becoming a Diabetes Specialist Nurse in 2012. I qualified in 1998 and worked for 6 years on an acute medical/diabetes ward in derriford before starting two years working for the diabetes research team. I have been a diabetes specialist nurse since August 2005. I manage the diabetes obstetric service for pre existing and gestational diabetes patients both in the community and in the hospital outpatient and inpatient stays. I have several nurse led clinic including insulin pumps, exercise management and carbohydrate counting. Although my main area of speciality is type 1 diabetes I also support GP surgeries in the management of patients with type 2 diabetes. I am an independent nurse prescriber and also deliver type 1 patient group education. I qualified as a nurse in 1998 in Bristol at the University West of England. My background nursing includes Cardiac ICU and HDU, Acute Medical Admissions and Emergency care with an interest in hyperglycaemic emergencies. I completed the diabetes degree module and since have become an Outpatients Diabetes specialist Nurse, specialising in the care of patients with Cystic Fibrosis Related Diabetes. I live in a costal village with 2 children. My name is Juliet Kennedy and I am based at the Diabetes Centre Outpatient, where I have worked for the last 5 years, as a Diabetes Support Assistant. I have been working in Derriford Hospital altogether for nearly 20 years now as a Health Care Assistant and have achieved my NVQ2 and 3,on a few wards, including Diabetes, Respiratory, Medical Assessment Unit, Diabetes Research and now back to Diabetes at the Centre. I enjoy helping the patients with their Meters and Pens, and assist a few clinics with the Diabetes Nurses and Consultants, as well as Introducing the PASTIE course in a group setting, and try to keep the Centre in tip top condition. My name is Carolyn and I have been a Registered Nurse for 33years. I trained at St Thomas' Hospital, London, moving to Addenbrooks Hospital, Cambridge, finally moving to Plymouth and Derriford Hospital many years ago due to my husband's work. I am married with 3 grown up boys and 2 grandchildren. I enjoy running and have competed in 5k races through to half marathons. I currently work as a Diabetes Specialist Nurse for the Pre op Service. We provide support to patients with type 1 and type 2 diabetes who meet a specific criteria from referral at pre op assessment to discharge following their planned surgery. Derriford Hospital is one of only a few Hospitals that currently employ DSN's with this specific role and is constantly looking at ways to improve and expand with a view to providing a better service to our patients. Hello my name is Julie and I enjoy travelling, walking, DIY and sewing when I am not at work. I was late to nursing in 2002 working initially on the ward as a Staff Nurse until I moved into the Diabetes team in 2008. I also spent two years as an Endocrine Specialist Nurse within the team (dealing with all the other hormones within the body). My passion though lies with diabetes and improving patient and staff diabetes knowledge and improving the care received whilst an inpatient. I am now one of the pre-op to discharge Diabetes Specialist Nurses following up referred patients with diabetes using a set criteria from the pre op appointment covering two pre assessment areas (15 specialities) until discharged following surgery. I have been in the trust since 2001, after I completed my NVQ level 2 on care while in the community. I began working on the diabetes ward for six years where I achieved my HCA Level 3. I then spent 6 years with Infection Control as a Health Care Assistant where my duties involved auditing and surveillance. There I completed a BTech in Infection, Prevention & Control module. One of my highlights with the team was attending an awards ceremony in London when my team took top prize in the Infection Control and Hygiene category of the 2011 Patient Safety Awards for the work that the HCAs covered. From there I wanted to get back to patient care and following my previous co-workers that I worked with from the diabetes ward, I moved to the Diabetes Centre as a Diabetes Support Assistant. During my time here I achieved my PETALs which are a recognized teaching qualification. I do a lot of teaching in my role to patients and staff around the hospital covering subjects like diabetes management, testing blood glucose and injection insulin technique. While I’m in my role I’m looking to future of advancing my education and hope to one day become a Diabetes Support Nurse. In my spare time I enjoy running, I run most days, competing in various running events from 5Ks to Marathons. Ironically I also enjoy baking I like to make novelty cakes or cupcakes for friends and family but definitely not my patients!